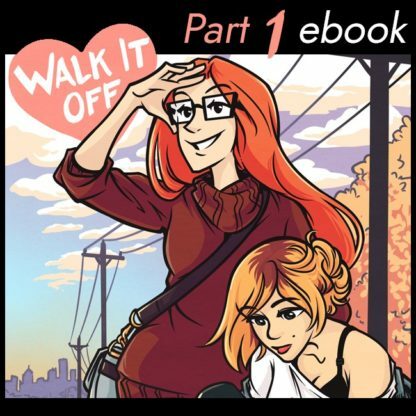 The digital ebook edition of Walk it Off, part 1 (of 3). This PDF file contains the first 60 full-color pages of Walk It Off. 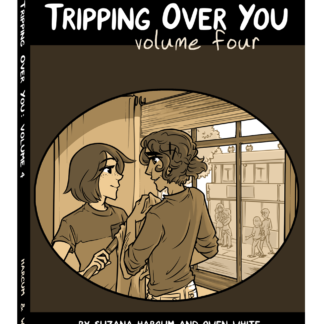 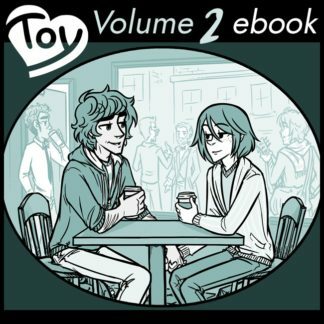 This comic is a side-story of Tripping Over You, featuring an expanded version of Kat and Penny’s roadtrip shown in this page of Tripping Over You. 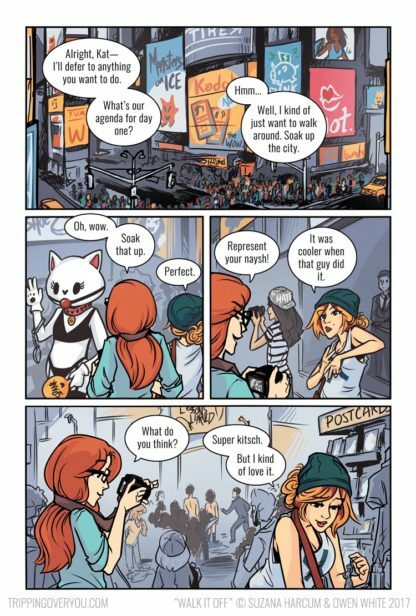 This product is entirely digital. There is no associated cost for shipping, and no physical item associated with the purchase. 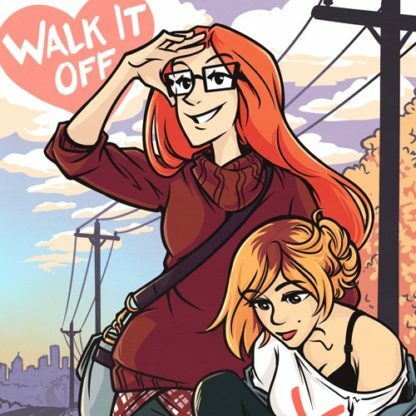 Walk It Off, Part 1: Kat and Penny's side-story of Tripping Over You. 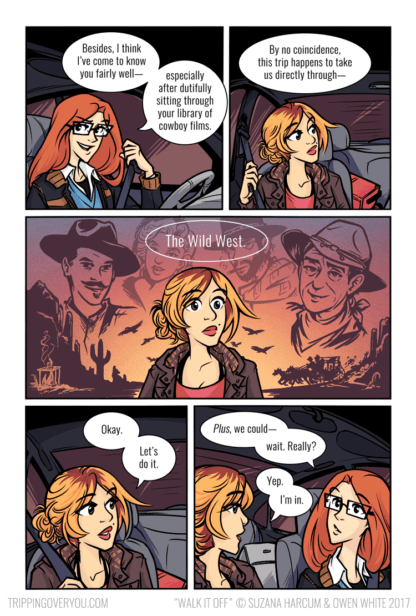 (Does not contain the other stories from the Fresh Romance anthology).